These are things we do everyday that mean more than schooling to us- they have been incorporated in our lives. 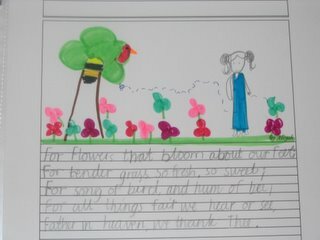 Poetry, in particular, has the power to make a thoughtful child happy, and I say that from observation. Poems take us to places and time we've never been before. They make us laugh or even cry. They make us think and be inspired. Whatever it is, every child should be exposed to good poetry. We do that by reading one everyday. Most of them get added to our notebook. 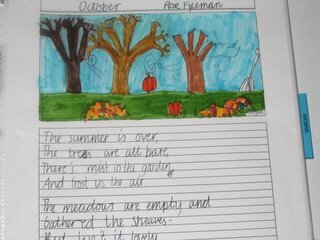 We often use part of a poem for copywork. 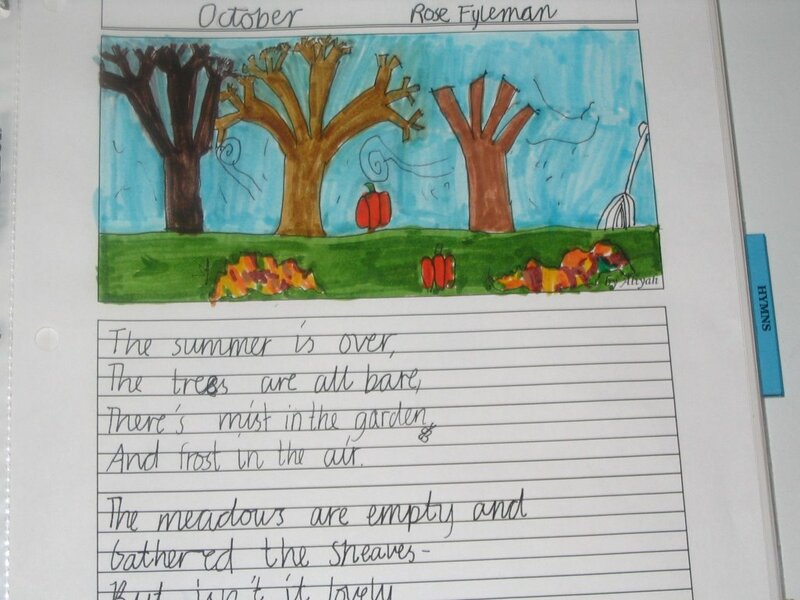 Heavy papers are used because Aliyah loves to illustrate her copyworks in markers or watercolors. We like browsing at our pages a lot, so cardstocks inside sheet protectors are the way to go. I designed the paper so that there is blank space for illustration, and the rest is lined. Very nice work! I'm so very proud of you and the work that you do. Remember, God is well-pleased when we use our gifts and talents to its utmost best giving glory to the Lord Most High. We don't happen to be vegetarian, but meat takes a definate "backseat" in our meals. I'm off to gaze more at your school ideas! I'm SO enjoying your blog! Thanks, Dell! We've seen so many works by other homeschoolers that have inspired us and so we want to give our part, too. Thanks for visiting. You'll definitely see me at your blog again.